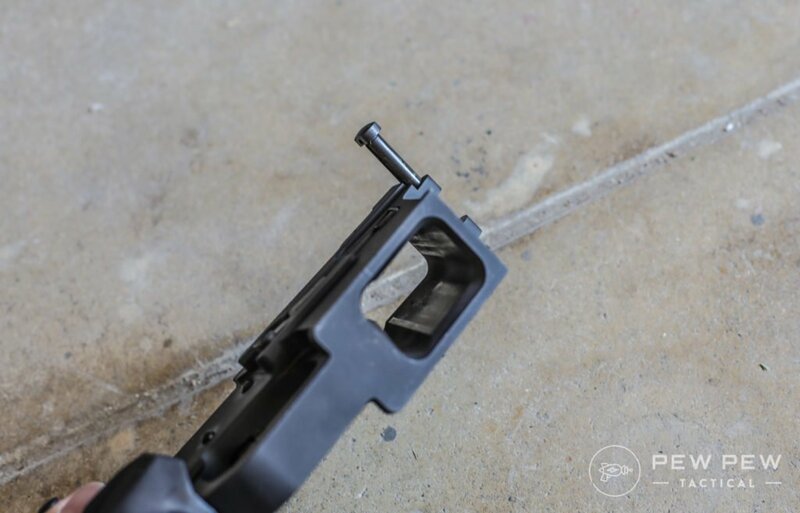 Looking for a cost-effective and reliable 9mm in the AR-15 platform? 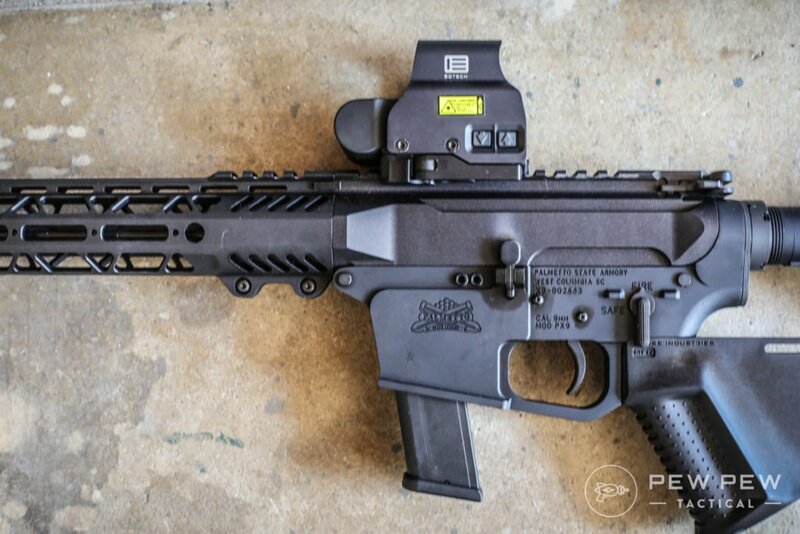 Look no further than Palmetto State Armory’s new PX-9 where you can get a full carbine for around $500. I got my hands on one and review it for fit/feel, shootability, accuracy, reliability, and more. By the end you’ll know if it’s the right choice for you…whatever your end purpose. 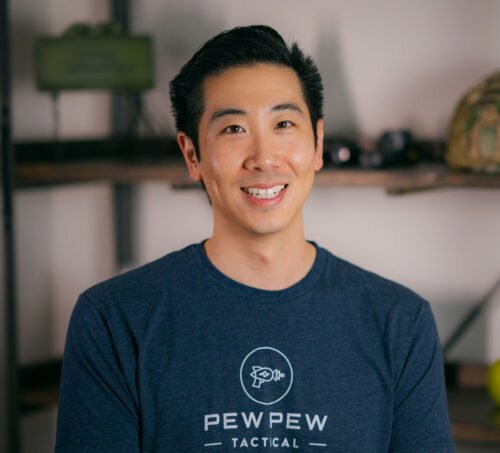 Pistol caliber carbines (PCC) have been all the rage and there’s plenty of them in their own platforms (Best Pistol Caliber Carbines). But there’s something comforting in having one in the AR platform. You get to use almost all the same furniture and manipulations are in the same place. 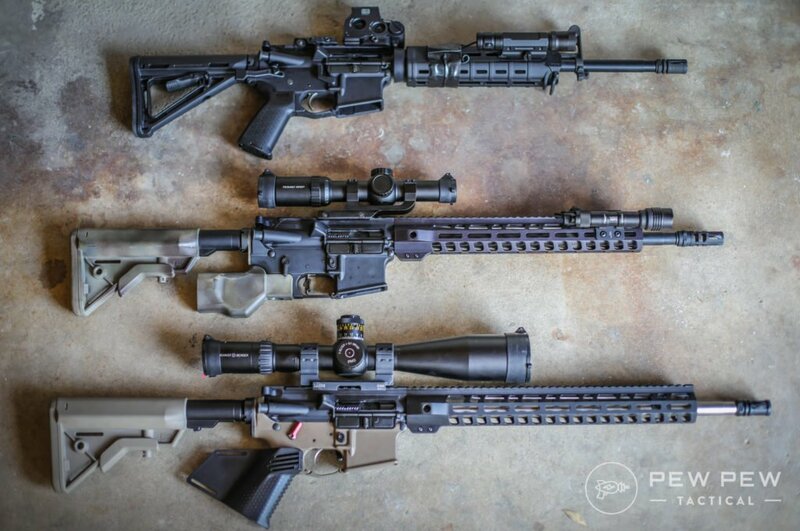 Like I said in my previous PSA review of three of their AR-15 uppers…they are so affordable because from raw materials to the final product…they do it in-house. But sometimes there’s some discoloration or slower than average shipping times. The shipping has gotten a lot better through the years though. How does their 9mm fare? Pretty darn good. There’s only the complete lowers listed for sale…but I got mine special for good ole California. It was easy to put together due to the extractor and magazine release already installed. Plus the integral trigger guard. Another perk…the rear takedown detent pin is very smartly accessed from the bottom along with the safety detent. 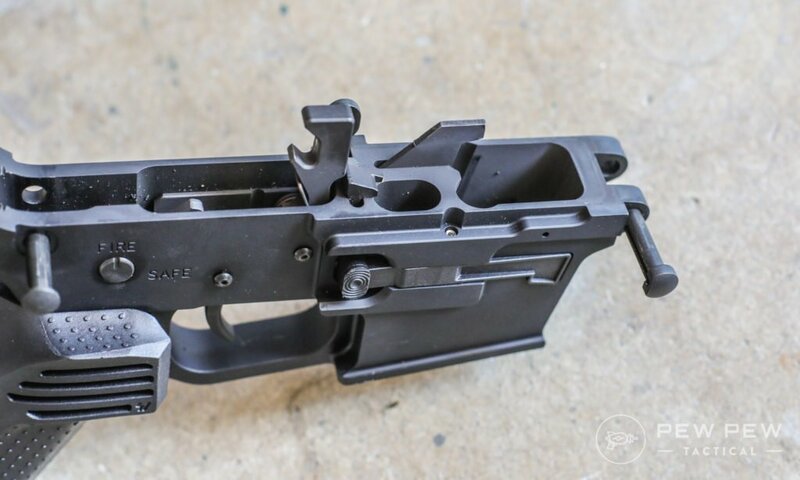 No more yelling at the end plate (How to Assemble an AR-15 Lower). 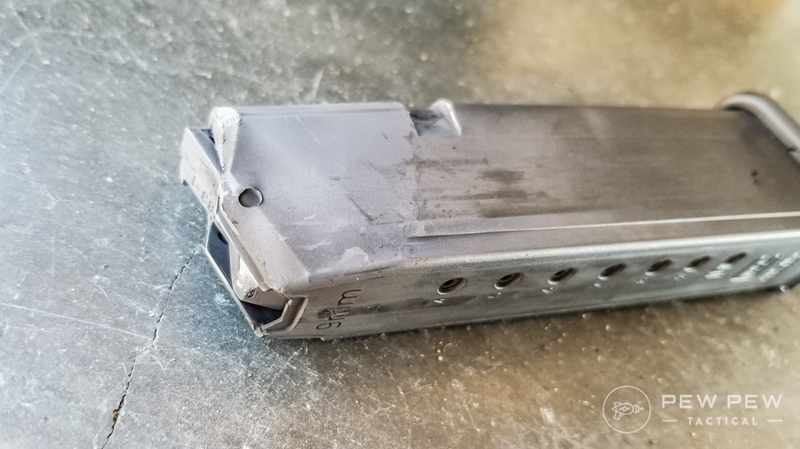 Magazine well custom cut for Glock magazines worked but was a little tight in the beginning. I wish for maybe a little flaring of the bottom for easier insertion. My package came with the Magpul STR stock which gave a nice cheekweld. Pistol grip was Magpul as well. But I went with a Strike Industries Mega Fin for CA featureless compliance :-(. My one nit-picky complaint is that the front of the lower is a little sharp. If you like to hold your rifle there…it’s not the most comfy. 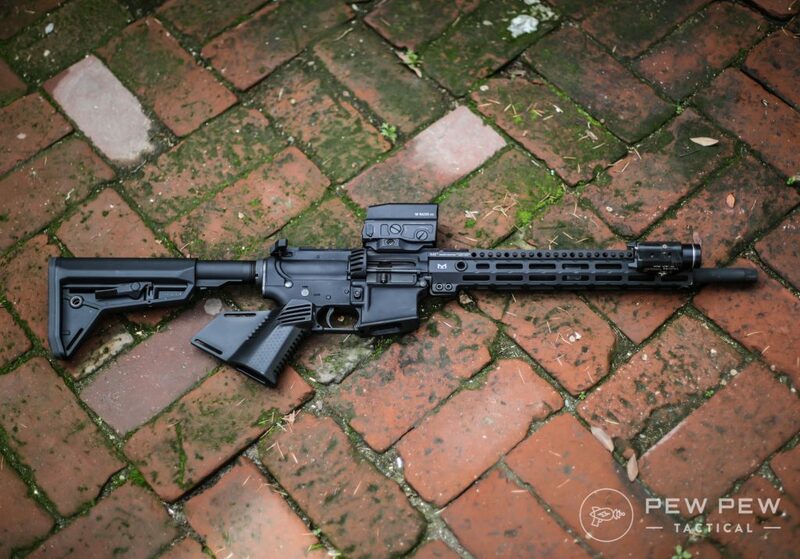 Much better feeling handguard compared to the kinda sharp AR-15 ones in the previous review. It looks pretty cool, was slim, and easy to grip in hand. Standard comes with a flash-hider but I went for a featureless model with thread protector. 9mm is relatively low speed and gas so a compensator doesn’t really help. Barrel is nitrided so it isn’t the rough standard phosphate covering. Makes it a little more premium looking and has some corrosion benefits too. You’ll also notice that there’s no gas block. 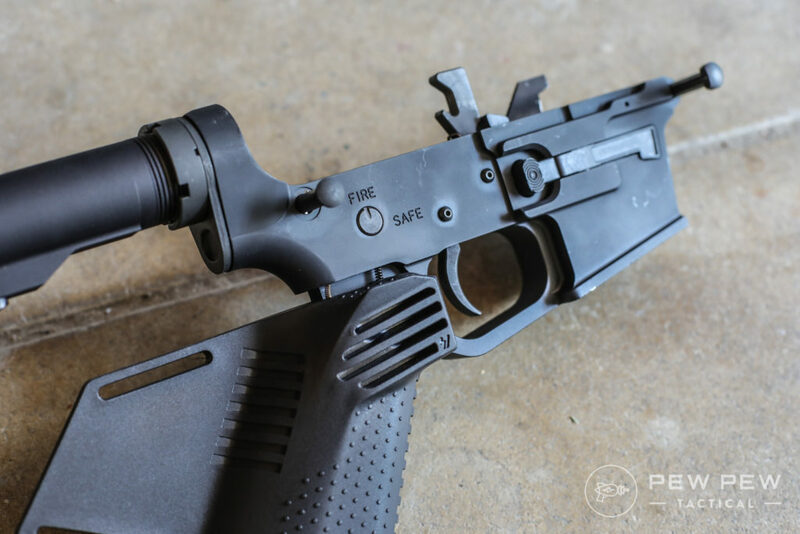 9mm ARs work by blowback…so no gas block is needed but you do feel it more. And though I don’t have a picture of the buffer and spring…make sure to use the one they give you (or some other 9mm version) or else you can break some stuff. You need a strong enough buffer to dampen the blowback. The bolt is also specific to 9mm and looked well-machined (see how there’s no gas key). 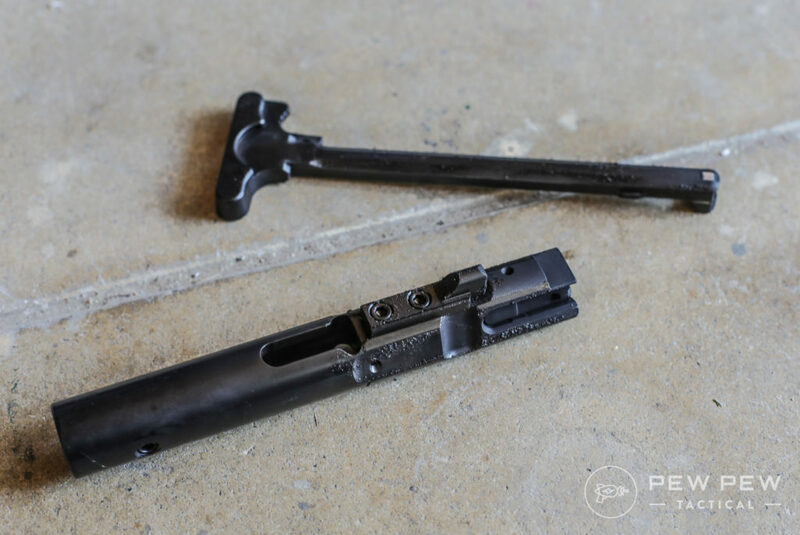 The charging handle was standard mil-spec. Upper receiver has some nice cuts to it that make it look a little different from a regular AR-15. However…a little discoloration matching between the upper and lower. What really matters at the end of the day! Check it out during one of my recent night competitions. One thing to keep in mind is that 9mm ARs has more recoil out of the box…thanks to their gas blowback system. However…the PX-9 was milder and more pneumatic feeling. Not loud and violent like the Stag Arms I previously reviewed (until I found the right load). Once you got the hang of it…you could easily bring it back and hit 100 yard steel with a 1x optic almost 100% of the time. Plus if you start upgrading with a captured spring buffer or lighter loads…you can make it really soft shooting. The magazine release was really stiff at first. But once I oiled it and broke it in by dry-pressing it a couple dozen times…it was just like any other release. Same with magazine insertion…it’s just gotta wear in a little. Magazines dropped free from the get-go although it was a little hard to insert a full mag on a closed chamber. But it’s doable (not like the Stag). My one big complaint is that there’s no last round bolt hold open (LRBHO). 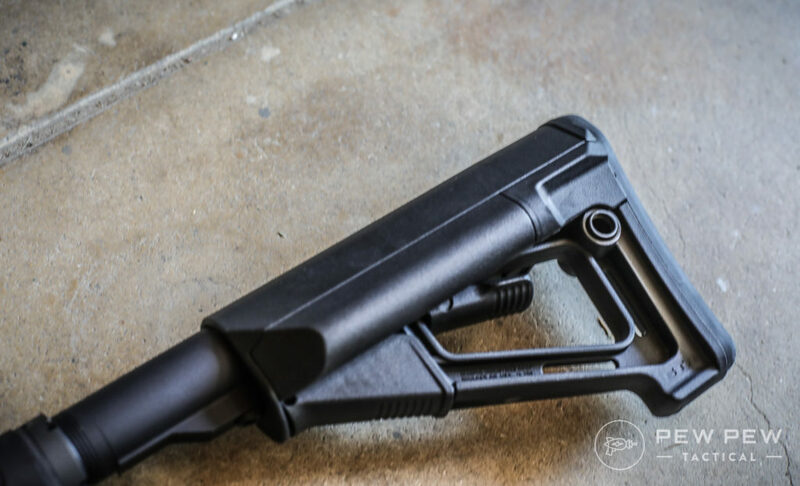 If you’re competing with this…you’ll want to make sure you’re counting and reloading before emptying a mag. Or just go with ridiculously hi-cap magazines. I ended up with a lot of unburnt powder sitting on top of the BCG and magazine. Everything still went bang every time through the 500 or so rounds and various brands of ammo…but I will make sure to at least wipe everything down before the next shooting session. I went with the Rise Armament trigger since it was in my Stag review and is a great value for a drop-in trigger under $100. Perfect for PCC where 100+ yard groups don’t matter as much. Plus the EOTech EXPS-2 for a fast close-up optic. 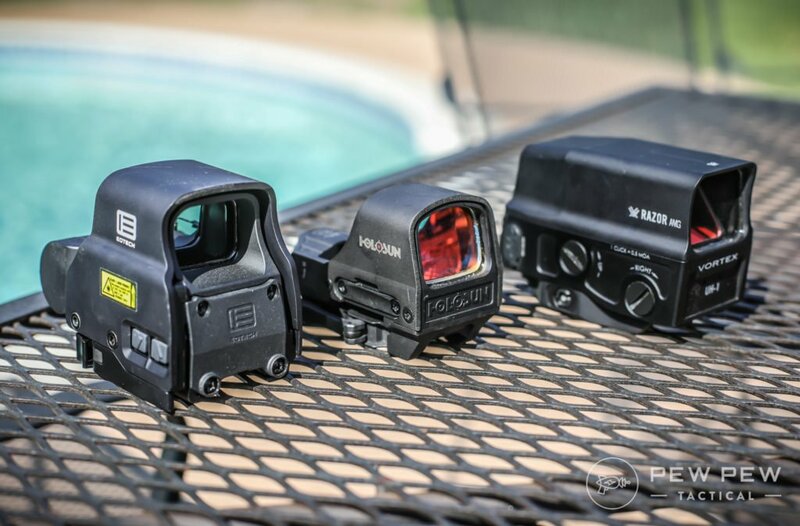 Check out more at Best Holographic Sights. 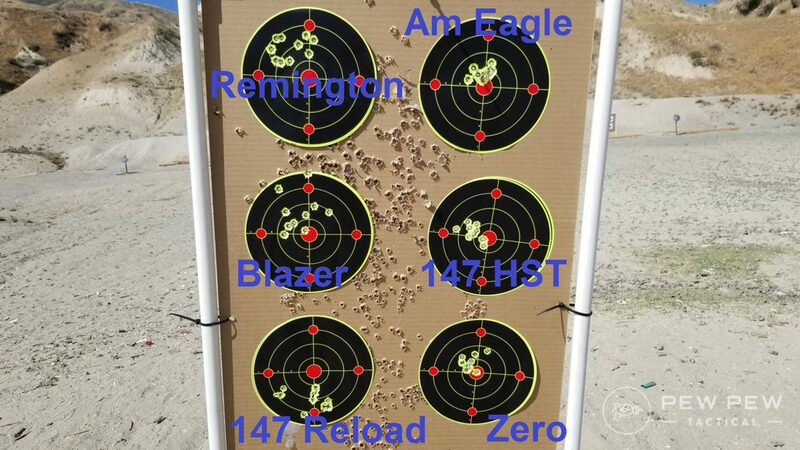 I shot 4 brands of ammo (Best 9mm Ammo) at a pace of about 1 shot every few seconds once I was back on target. Waited for barrel to cool down between each brand. I tested it out to 50 yards…which is a good distance for 9mm. The first set was Remington and I was getting depressed thinking this gun was going to be junk. But turns out…it’s just a little finicky with ammo. But it does LOVE American Eagle 115 gr! Also pretty good with our favorite home defense round of Federal 147 HST. And somehow it didn’t like my light shooting 147 reloads that I usually use for my 9mm 1911. Main takeaway…try out a couple brands of stuff in your barrel. When you find it…load up the truck! Thank goodness there’s not the bazillion models of AR-9s as there are for AR-15s. 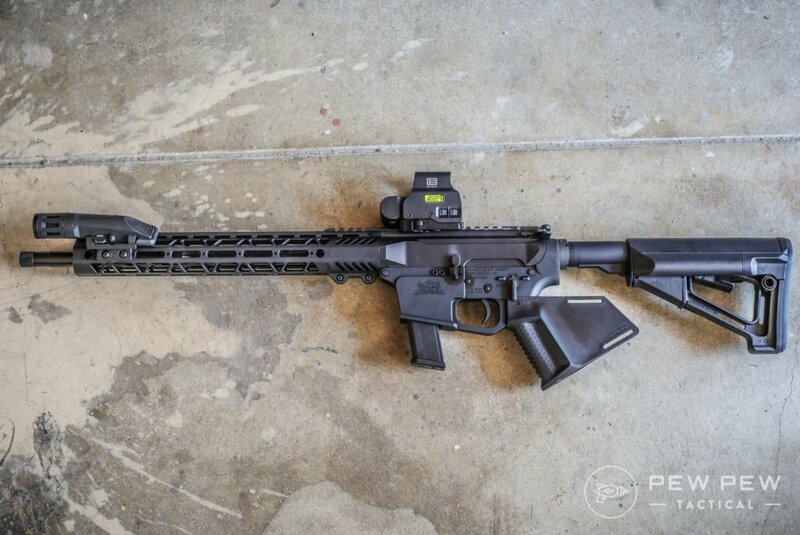 PSA has complete AR-9s…but if you know PSA, the best way is to build your own from uppers and lowers. That way you save some taxes on complete firearms. Let’s start with the lower…they only have complete ones for now…no stripped. 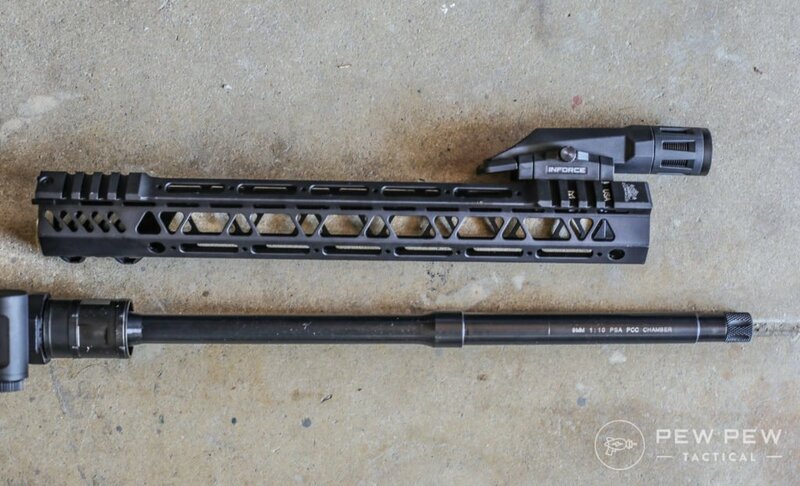 As of today…there’s a more bare-bones mil-spec one or one with a better Blackhawk buttstock. Update: PX-9 is the one PSA forges themselves and what they are transitioning to completely in the future. It’s currently only guaranteed to work with their upper. I’ll test with some other ones and report back. For the upper…there’s a couple more options. 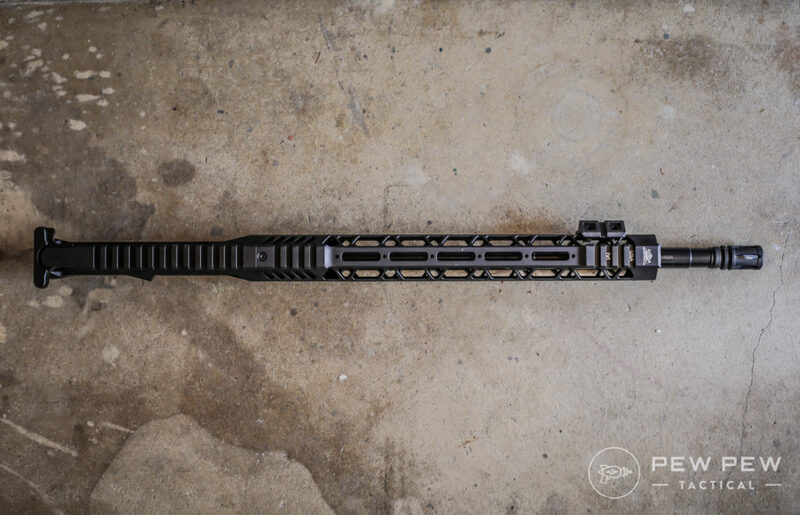 My specific one that I have and heavily recommend since their handguard is pretty comfy is the 16″ 13.5 lightweight handguard version. A little breaking in with the magazine release and magazine insertion. Otherwise performed flawlessly over 500 rounds and 4 types of ammo. Picky with its ammo…but good knowing that it really liked American Eagle 115 gr. I’d still check with your own barrel since it might be different. 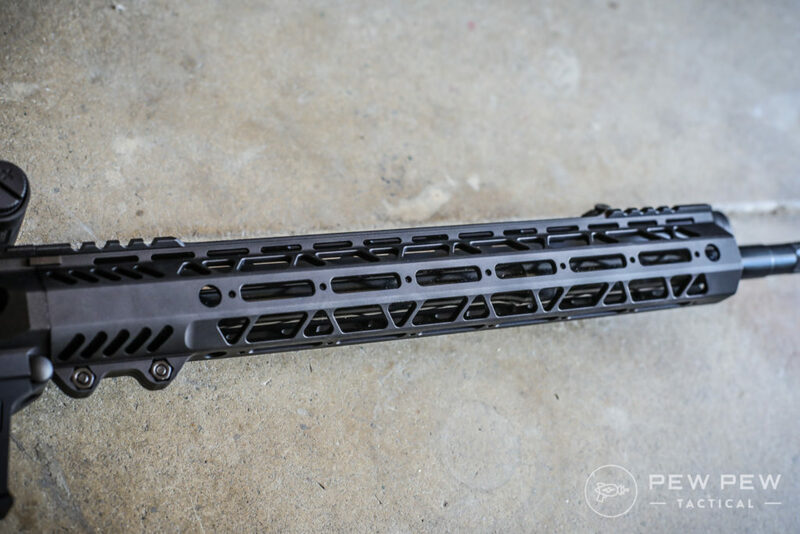 Handguard feels much better than PSA’s AR-15 models I tested. But wishing the front of the lower receiver wasn’t so sharp and that it has a flared magwell. Handguard looks pretty cool and futuristic with cosmetic cuts. Same with the upper receiver which sets it apart. But loses some a point for slight mismatching color of upper and lower. 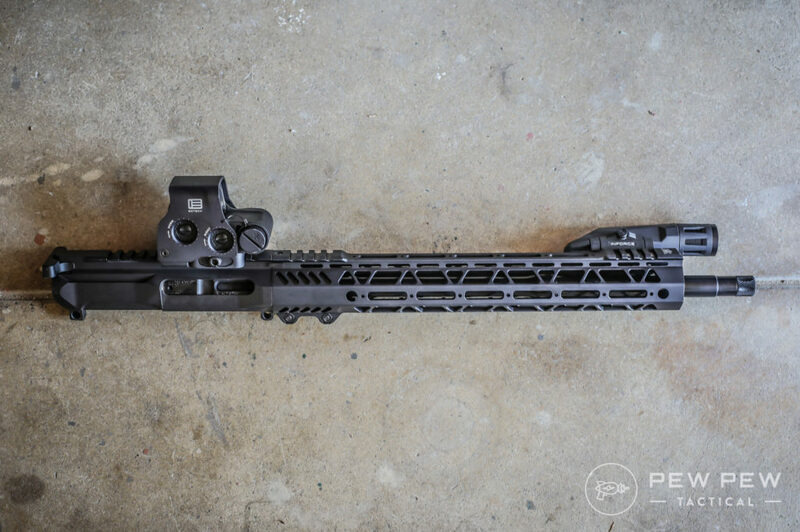 It’s an AR platform with M-LOK so you can do anything to it. I added in a new trigger, flashlight, and holographic sight. You get entry into the PCC world for right around $500 that takes Glock mags! Only caveat is that there’s no LRBHO but it’s relatively easy to plan around even in competition. 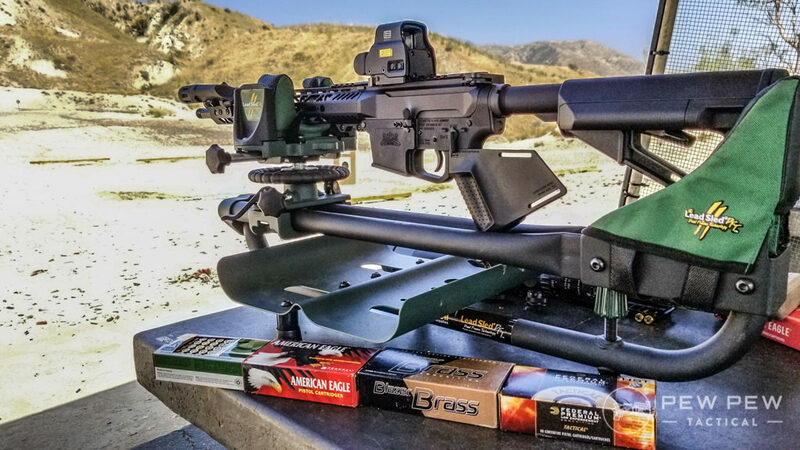 Cheap ammo, (hopefully) existing Glock mags, and familiar AR-15 ergonomics…what’s not to love? Besides no last round bolt hold open and not perfectly matching in color…the PSA PX-9 lower and 9mm uppers are an awesome deal that’s so far performed admirably. I’ll keep this updated as I shoot more (and compete with it). 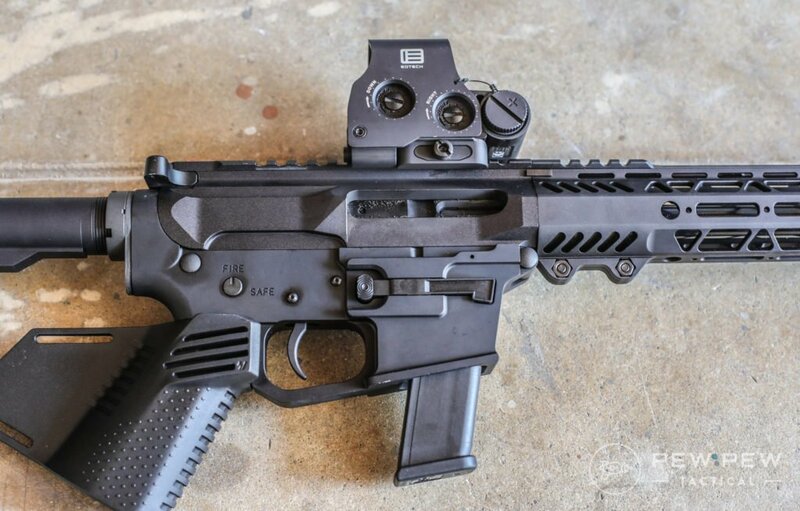 Until then…what’s your take on the PSA 9mm rifle? Is it on your radar or do you have another favorite PCC? Check out our reviews of three of their AR-15 uppers too. Probably the most entertaining and knowledgeable articles I’ve seen in a while. I’m in the process of wanting to build a PCC but don’t know where to start. Me also being in California this was a good article to get an idea but still need a little insight. 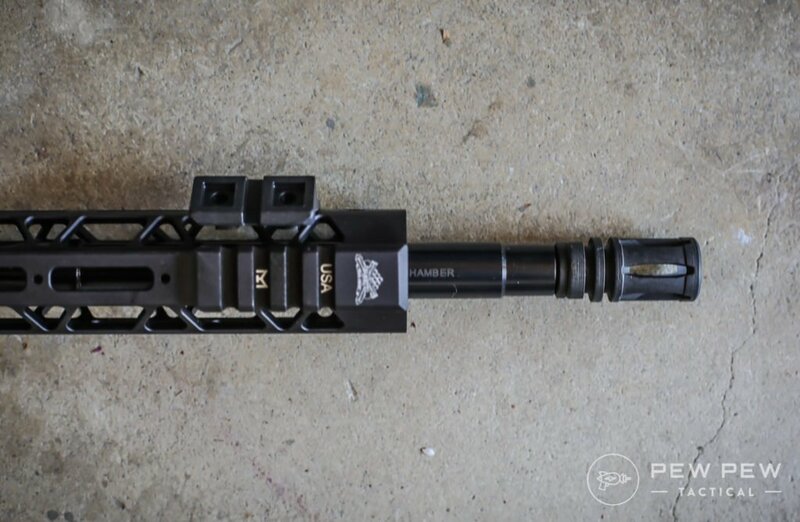 The lower you bought had the buffer tube, fcg and stock all installed? 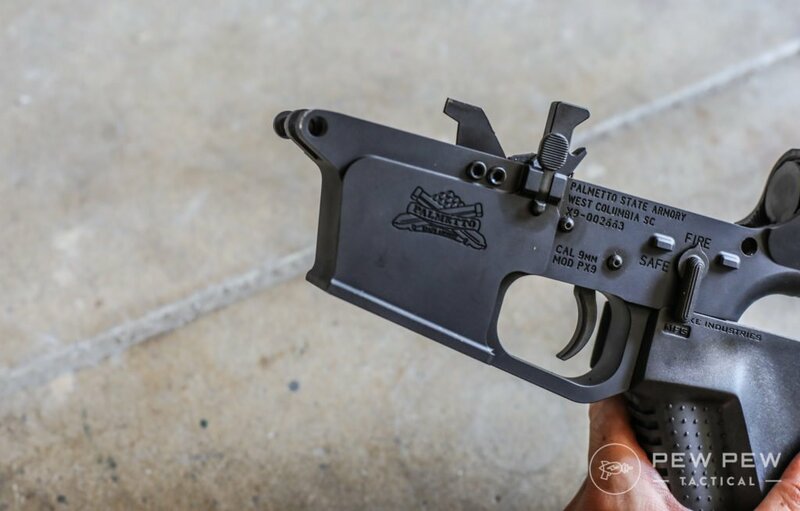 With going maglock option “jt hellfighter” could it be built as a pistol in California? If not I’ll go the 16” barrel route. Thanks for the great content I’m going to check out more of your write ups. Hey Joe, I shot all my rounds through that one Glock mag and so far so good. I don’t think it’s much heat…just some unburnt powder. PCC’s can be shot at handgun only ranges and on close range steel where many rifle caliber firearms are not allowed. 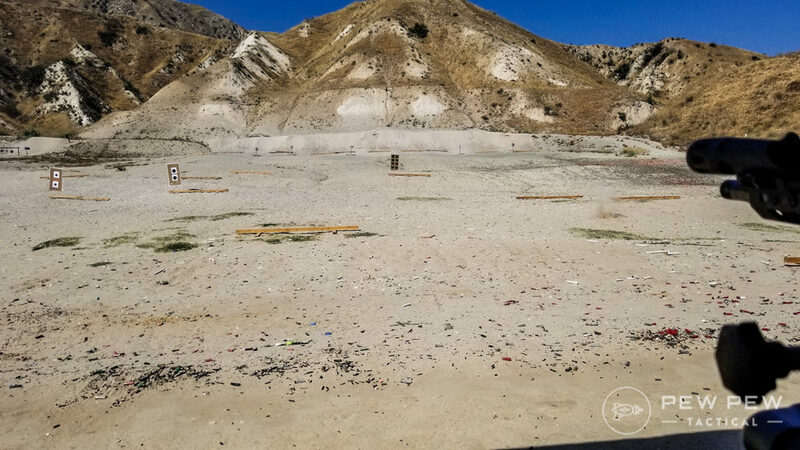 Most organized shooting disciplines are based on handguns PCC’s mesh just fine in these environs. Carbines/rifles not so much. Thanks so much for that insight! I couldn’t find the LRBHO enabled ones at PSA (in stock at least). But you’re right…you can get used to the last feel/sound. Or if you’re competing…to count your shots and plan the stage. Ummm…….on a “normal AR” the bolt holds open on the last round. It does feel a bit different but I and almost everyone else prefer and have gotten spoiled to having the bolt hold open. PSA’s 9mm would be perfect if it had this feature. I’ve heard about their early LRBHO models malfunctioning but other manufacturers have gotten it right. I got a spikes tactical glock lower, and it fits perfect and the lrbho works flawlessly. It looks just like the PSA but with a different logo.